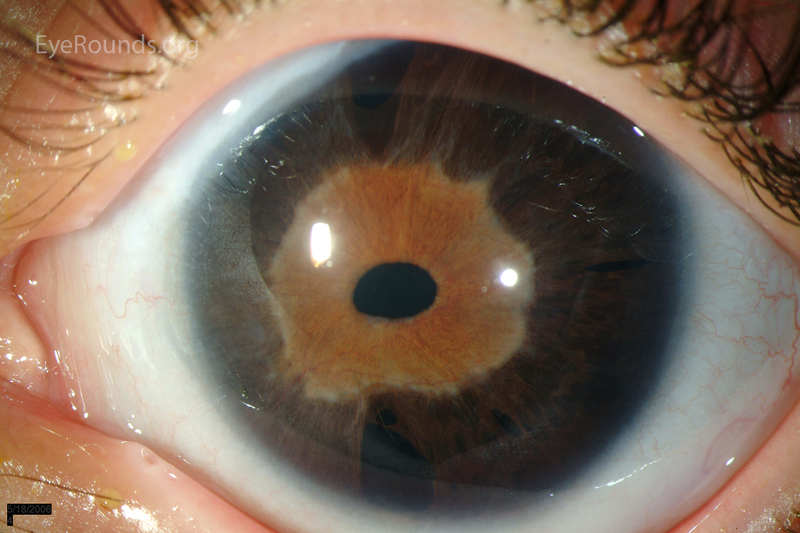 This patient has iris atrophy, corectopia (displacement of the pupil) and polycoria (multiple holes in the iris) due to Axenfeld-Reiger syndrome. 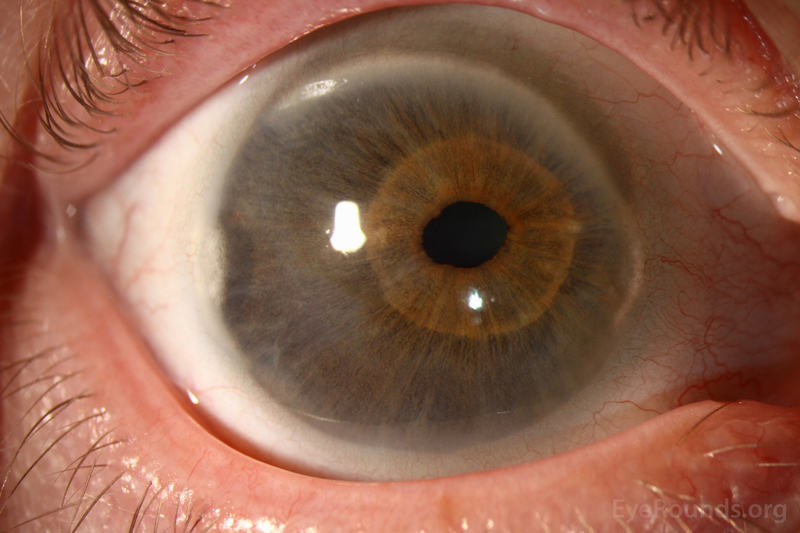 The pupillary sphincter is easily visible against the hypoplastic iris stroma. This is another example of subtle corectopia and diffuse iris atrophy with a more apparent pupillary sphincter. Posterior embryotoxon is present superiorly and inferiorly.